Dr. Welham specializes in the assessment and treatment of patients with organic, neurological, and functional voice disorders, resonance disorders, and upper airway disorders such as paradoxical vocal fold motion. He also treats patients with occupational voice problems. 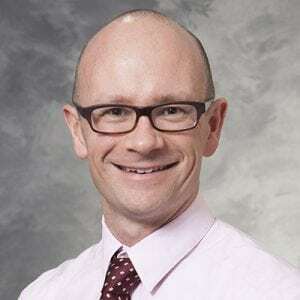 Dr. Welham’s research interests include vocal fold mucosal biology; extracellular matrix-focused proteomics; and vitamin A transport, storage and function. Serum retinyl esters are positively correlated with analyzed total liver vitamin A reserves collected from US adults at time of death. Strategies for advancing laryngeal tissue engineering. Modeling fibrosis using fibroblasts isolated from scarred rat vocal folds. Practice variations in voice treatment selection following vocal fold mucosal resection.